So this got me thinking about the popularity and respectability of science fiction in the U.S. of A. Science fiction has certainly gained a broader audience in the past couple decades. What was once reserved for Saturday morning b-movies, childhood comic books, and incomprehensibly complex paperback novels evolved into mass market. While many thank the 1966 TV show Star Trek as the beginning of mass acceptance of sci-fi in this country, I think it could be argued that the true turning point for science-fiction-as-popular-entertainment was in 1977 when George Lucas took us to that galaxy far, far away…. The reason was simple: this happened at the movies. With Star Wars, Lucas didn’t dwell on the silly campiness of Gene Roddenberry’s TV show, and removed the too-serious or confusing statements of 2001: A Space Odyssey. He just had a fantasy action-adventure with fun yet identifiable characters. Crowds lined up at the box office, and Hollywood took notice, honoring the movie with a Best Picture Oscar nomination. That same year, Steven Spielberg continued the popularization of science fiction with Close Encounters of the Third Kind. Everyone, young and old, nerd and non, wanted to go with Richard Dreyfuss on his amazing journey into the musical space ship to meet alien life forms. And it didn’t stop in ’77 – through the 1980s, the Lucas/Spielberg combo continued to draw in huge audiences with the Star Wars sequels and ET, the later also being nominated for the Best Picture. That same decade a young James Cameron carried on the box-office boffo with the low-budget The Terminator, followed by the big-budget Aliens, both elevating audiences’ expectations of stories about other beings and/or worlds. At the start of the 90s, Cameron continued to blow all box-office expectations with his sequel Terminator 2: Judgment Day, once again gaining a huge American audience with a story of time-traveling robots. The following year was Spielberg’s return to form with Jurassic Park – not really hard-core “robot-and-laser” science fiction, but still geeky, popular and very successful. Sci-fi seemed like an unstoppable force in American cinema. Science Fiction didn’t disappear from American cinema as the 21st century approached, but the popularity certainly leveled — and the quality dropped. For every Matrix or Fifth Element, there were plenty of duds, or at least less popular attempts. 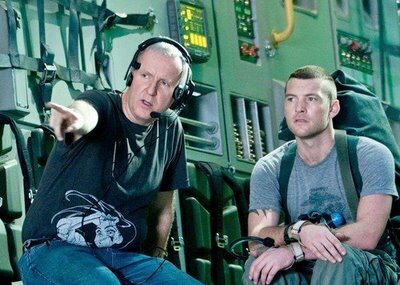 James Cameron seemed to abandon sci-fi with True Lies and Titanic, Lucas’ continuation of the Star Wars “prequel trilogy” left many underwhelmed, and Spielberg’s science-fiction attempts ranged from bad (The Lost World: Jurassic Park, later War of the Worlds and Indiana Jones and the Crystal Skull) to mixed (A.I., Minority Report). It only got worse for sci-fi in 2000 and beyond. As the calendar approached 2001, the particular year that was supposed to be “the future” if we were to believe Arthur C. Clark, science fiction was on the way out of the theaters. Did the attack on 9/11 sober up mainstream America and push “silly” science fiction stories back to the domain of the nerd? Unlikely – a better explanation is that tastes changed, and movie fans in this country traded in the spaceships and lasers of sci-fi for the dragons and magic wands of fantasy movies like The Lord of the Rings and Harry Potter, or the rise of popular superhero movies like Spiderman, Batman and X-men. That’s not to say quality sci-fi wasn’t around in the ’00s, it just moved back to TV. 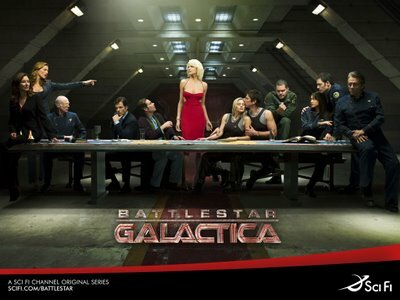 One shining example came in 2004: Battlestar Galactica, a updated version of a 1978 TV show that was spawned from the popularity of the original 1977 Star Wars. (See where I went with that?) Yet, even though “BSG” was a quality science-fiction TV show and had many fans, being on TV limited it from reaching the mass mainstream. It was looking like this was the decade where science-fiction stories were forced to return to the smaller roots of comic-books, pulp novels, TV, and the new video-game medium. But in the midst of sci-fi’s rise and fall of popularity in American theaters — the Star Treks, Star Wars, Terminators, et al… England had a delightful gem of sci-fi television. 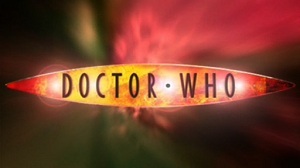 Mostly unknown in America, yet popular culture across the pond, Doctor Who (the title character is actually identified simply as “The Doctor” – the “Who” part is a running gag of the mysterious last name) was successful enough to spawn over 750 episodes of the show! And judging from the 13 I have just watched, it has everything popular science fiction should have: engaging characters that George Lucas would love, alternate pasts, presents, and futures that would intrigue Steven Spielberg, and the show’s best element — time-traveling aliens called the Daleks that could EXTERMINATE James Cameron’s version. Please don’t get the point of this blog wrong — I have no illusions of Doctor Who becoming the next blockbuster in the United States. If this quirky show is not mainstream in America after almost 50 years, it probably will never be. It’s silly, campy, and very British. My Yankee ears had, on occasional, a hard time with the accents and references. And the special effects (very important in popular sci-fi), even for 2005, look terribly cheap and fake compared to that same year’s Battlestar Galactica. But I think that’s the point… it IS silly. And charming. And the characters are the purest, human, most accessible science fiction personalities I’ve seen since…well, that galaxy far, far away. Let's bring this back around! So now it’s 2010, and James Cameron has brought sci-fi back to big screen with a love story between Pocohontas a blue alien and John J. Dunbar a soldier fighting the military for control of spice valuable mineral. Good for him for bringing science fiction back to the masses, and once again Americans are heading to the theater in droves to watch science fiction. Hollywood also seems to be welcoming sci-fi’s return — Avatar, along with the superior District 9, have both been considered “Best Picture” nominees for this year’ Oscars. So after a decade-long slump, the future for theatrical Hollywood sci-fi is looking good again for 2010 and beyond. And maybe James Cameron’s story, like George Lucas and Steven Spielberg before him, might bring a slightly wider audience to other, non-theatrical science fiction. Hopefully some of that new audience might pop on the telly and check out the silly, heartfelt, and very British gem Doctor Who. Flatulent aliens, time-traveling spaceships, zombies, ghosts, and evil over-sized salt-shakers yelling “EX-TERM-IN-ATE” await them! 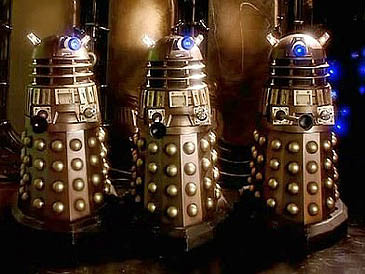 “Doctor Who Series 1” is available on DVD and streaming via Netflix.